Have you started investing your money into Charleston real estate? If so, you might be curious about how to maximize your returns to see the highest profits possible. Even the savviest and most experienced investor can learn new ways to capitalize on their investments. 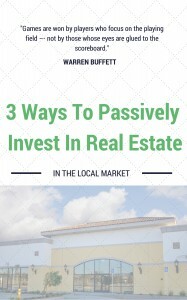 Keep reading to learn how to maximize your real estate returns in Charleston! If you are buying a Charleston house to flip, be ready in case it doesn’t sell in the timeframe you need it to. Be prepared to get tenants in there to help cover your mortgage and other ownership costs. Letting your property sit empty on the MLS will only end up costing you. Great investors get that way by having the strongest and most dependable teams around them. Build connections with the areas top property managers, repair companies, agents and professional property buyers! Get to know other investors who you can possibly partner and share leads with. By having knowledgeable and experienced people on your side, you will be able to become very successful in Charleston real estate investment!